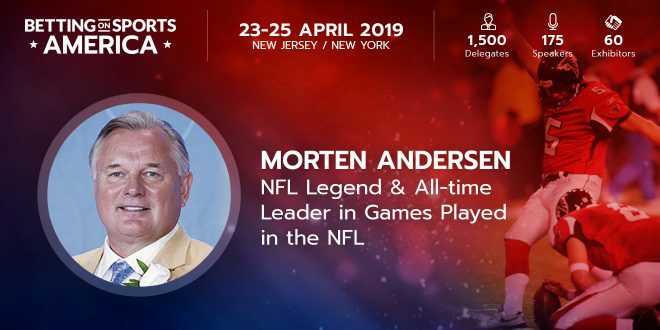 Morten Andersen, who holds the all-time record for most games played in the NFL, will be delivering a keynote speech at this month’s Betting on Sports America conference, held from 23-25 April at the Meadowlands Exposition Center in New Jersey. 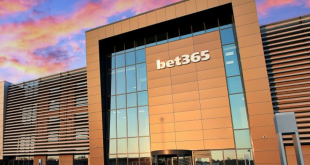 Andersen is attending #bosamerica as an ambassador for the Denmark-based igaming affiliate Better Collective – a key sponsor of the event whose US-facing brands include Betoclock.com, the us-bookies.com hub and a fast-growing bet-state network already featuring bet-nj.com, bet-wv.com and bet-pa.com. 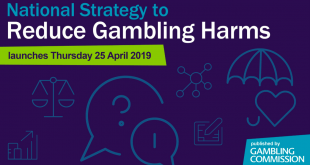 The ‘Great Dane’ will be talking about the NFL’s unique ability to connect with its fan base – and particularly those with an affinity for sports betting – as part of the ‘Sports and Betting’ track on Thursday 25 April, the second full day of the conference. 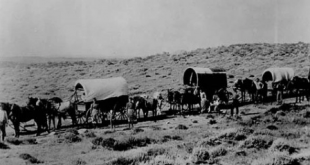 At the age of 17, Andersen did an exchange in the USA from his native Denmark. As there was no European football available at his school, he applied his skills to American football. What followed was an illustrious career in the NFL, where he retired in 2008 as the all-time leader for games played and points scored in NFL history, as well as being the all-time leading scorer for both the New Orleans Saints – where he spent 13 seasons – and the Atlanta Falcons, for whom he spent a combined eight seasons. Better Collective CEO Jesper Søgaard said: “It is exciting for us to be joined by Morten Andersen, an undisputed legend of the NFL. Andersen’s journey from starting in Denmark and obtaining such success in the USA is an obvious source of inspiration for us and our US strategy, and we are proud to have him as an ambassador for Better Collective. Andersen added: “I am very honoured to be joining Better Collective at Betting on Sports America. 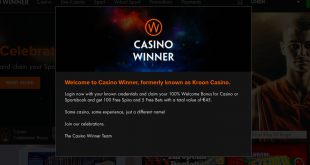 Danish values are something that I have always adhered to throughout my career in the US, and I’m happy to see Better Collective is applying those same values to the betting industry. 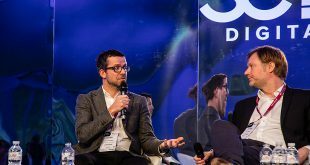 Rasmus Sojmark, SBC Founder and CEO, commented: “The so-called European betting ‘invasion’ – led by software providers, front-end operators and affiliates – has been a major talking point post-PASPA repeal, and something that will form a key part of the discussion at the inaugural Betting on Sports America conference.